Baltimore County Councilman David Marks reported Thursday on the progress of the Fullerton Plaza renovations, announcing that the Weis Market and fuel facility are on track to open in the spring of 2018. Facade improvements throughout the rest of the shopping center will be complete by March. 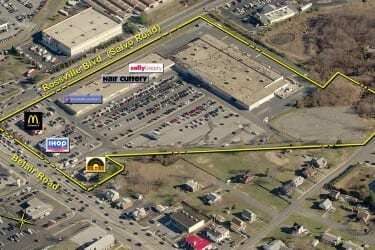 Weis will occupy the area that was formerly a K-Mart store. The supermarket will have features not found in other Weis locations, including a 1,000-item produce department, a deli and café, an in-store sushi counter, and a full-service pharmacy. In addition to facade improvements, landscaping will be added throughout the parking area. Built in the 1970s, the shopping center is located at the Baltimore Beltway and Belair Road.